Injury and secondary damage due to an overspeed failure. An overspeed failure on a big steam or gas turbine is one of the most frightening of industrial accidents. The high cost of an extensive overhaul due to an undetected component failure. 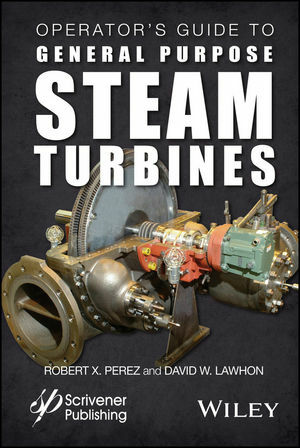 A major steam turbine repair can cost ten or more times that of a garden variety centrifugal pump repair. Costly production loses due an extended outage if the driven pump or compressor train is unspared. The value of lost production can quickly exceed repair costs. It is not enough to simply have a set of procedures in the control room for reference. To be effective, operating procedures must be clearly written down, taught, and practiced—until they become habit. Robert X. Perez has 30 years of rotating equipment experience in the petrochemical industry. He earned a BSME degree from Texas A&M University (College Station), a MSME degree from the University of Texas at Austin, and is a licensed professional engineer in the state of Texas. Mr. Perez has recently published his sixth book titled, "How to Select the Right Centrifugal Pump: A Brief Survey of Centrifugal Pump Selection Best Practices." David W. Lawhon is a Principal Rotating Equipment Engineer currently employed by Societe des Petroles Shell in France. He has over 30 years of experience with various aspects of rotating equipment. He has engaged in multiple working environments ranging from oil refineries to chemical plants and for the past 15 years, has worked extensively on offshore deep water projects in various parts of the world. Mr. Lawhon received his B.S. degree in Mechanical Engineering from Texas A & I University in 1985, and his Master's in Business Administration from Texas A & M Corpus Christi in 1997.